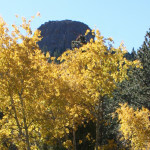 Aspens turn to a golden hue. The sounds of elk bugles reverberate throughout the air. It’s a perfect season for one of Estes Park’s late-autumn traditions when a series of bands herald Autumn Gold – a Festival of Bands, Brats & Beer, scheduled for Saturday and Sunday, Sept. 22 and 23, 2018.